With our new Halloween Bats Screensaver we invite you to prepare for Halloween celebration and plunge into the unusual atmosphere of this autumn holiday! Free screensaver is stylish and unobtrusive, just a few seconds and it will be on your desktop! Halloween is a very happy holiday now. But the history of the festival goes deep into the dark past. They began to celebrate it more than 2 thousand years ago. At a time when people were still pagans. It blurs the boundaries between the living and the dead people to scare away any evil spirits dressed up in scary skin to ward off evil spirits on this night. They left treats for ghosts before the door of house. 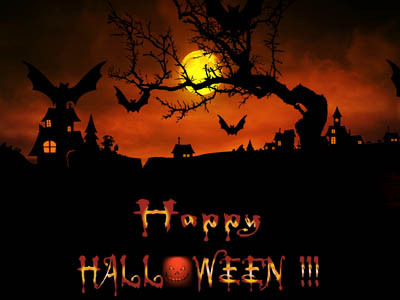 Helloween is popular holiday in the United States, people are prepared for it in advance. Procuring candies and sweets, preparing selfmade costumes. Feast of love especially for children, since to this day children are taking up the baskets and go hunting for sweets. With our new Halloween Bats Screensaver we invite you to prepare for Halloween celebration and plunge into the unusual atmosphere of this autumn holiday! Free screensaver is stylish and unobtrusive, just a few seconds and it will be on your desktop! Clock, a new free amazing screensaver from http://www.newfreescreensavers.com, features a round clock in the shape of globe with hands located outside the clock. Download free screensavers. No spy/adware, viruses free. It's safe to install and run. Moon: A screen saver showing what time it is from a collection of new free screensavers from http://www.newfreescreensavers.com. Free screensavers. No spyware, no adware, virus-free. It's safe to install and run. This screensaver shows you off the beatiful images of the old ruined castles from different places of the world that came to use from the Middle Age epoch. In the past these castles were strong and mighty, they could stop the invading enemy.